Personally, I always try to include a source of protein at breakfast. I know when I start my day with cereal or zucchini bread I'm usually hungry pretty soon after or find myself snacking throughout the day. Besides building muscle, our bodies need protein for about a trillion other daily functions and processes. 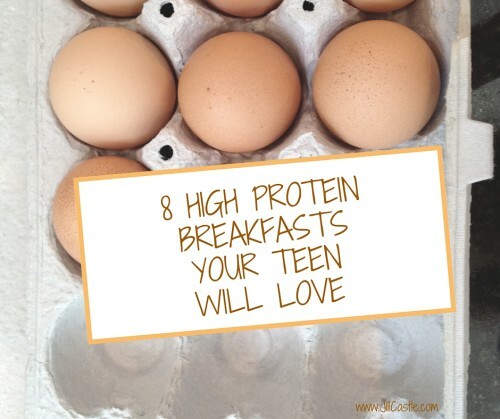 But did you know that starting your day with a good source of protein may even help you reach your weight loss goals? More are more studies are coming out showing the benefits of starting your day with some protein. Having a protein rich meal for breakfast can help to keep you full longer, prevent snacking later in the day, and may even aid in weight loss and help to decrease fat mass. Protein is more satisfying and filling than a meal that is heavy in refined carbs because it takes longer to digest and helps control our blood sugars. Studies have shown, that those who start with protein at breakfast are less hungry and snack less throughout the day. This equation gives you your minimum daily protein requirements. For those who are more active, are over 65, or are sick or injured I would multiply by 1.0 to 1.2. One of the best things about being a dietitian is the dietitian community. It's seriously the best. Everyone is so supportive and wants to see each other succeed. I reached out to our wonderful community to compile the following list of healthy, higher in protein, breakfast recipes. 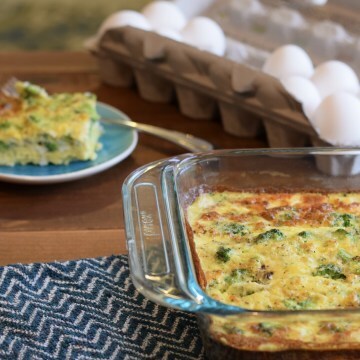 Below are 21 healthy recipes to bulk up the protein in your morning meals to help you stay full longer, feel more satisfied, prevent snacking later in the day, and possibly help shed a few pounds. Let me know which ones you try! I tested out these awesome little energy bites last night as part of the Food & Nutrition Magazine Test Kitchen. They were super easy to make (just throw everything in a food processor) and they taste great too! These bites are loaded with protein, leaving you full and satisfied until your next meal. Can you believe there's yogurt in them! I love using yogurt in different ways. Siggi's is my fave because they're high in protein and lower in sugar. I love the consistency of the Icelandic style skyr too. These snack bites can be frozen or stored in the fridge for an easy grab-and-go snack (they would be great to refuel after a workout!). A 1-oz ball has 280 calories, so I played around with different sizes for different appetites. I think I like the mini ones best. Try them out and let me know what you think! Combine all ingredients in a food processor and blend to desired consistency. We like keeping the pieces larger for a crunchier ball. When desired consistency is reached, form 1-ounce balls then roll in the shredded coconut to coat. Store in the refrigerator and enjoy as a quick snack! I love snacks. I'm the kind of person who needs to eat every couple of hours. Smaller meals throughout the day seem to work best for me (but this doesn't mean it's right or what works best for you). Snacking can be part of a very healthy diet as long as it's incorporated appropriately. Not only does snacking help with weight management and increasing energy levels, but also can improve our metabolism, reduce sugar cravings, and improve blood sugar control. While so many of us are snackers, snacking can also be super challenging. I find it's often clients downfall in reaching their health or weight goals. I know how it is, all you have to do is walk by the kitchen and the chips and crackers are screaming your name. It can be so easy to over do it on snacks when they aren't planned out or balanced. A little prep and planning is key! 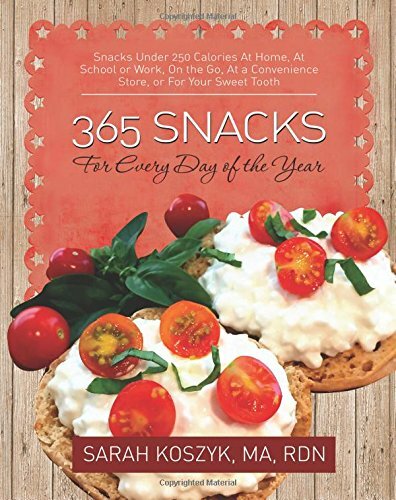 Fellow dietitian, Sarah Koszyk, recently published a book that I love and highly recommend: 365 Snacks For Every Day of the Year. Whether you're a planner or a mindless muncher, this book is for you. In her book, Sarah goes into detail about the benefits of snacking with a ton of (365!) amazing recipes and snack ideas. She explains the components of a healthy, satisfying snack (think protein and high fiber carbohydrate) and provides tips for planning healthy snacks for your whole week. Sarah helps take the effort out of planning and prep to make healthy snacking easy, affordable, and delicious- because why can't corn on the cob or cucumbers and cheese be a snack? Snacks At a Convenience Store is my fave. Nowadays, we all think we're super busy and find ourselves eating on the go more than ever. If we don't plan ahead, we frequently end up at convenience stores or fast food joints to fill the void. When we think of convenience stores, many of us jump to potato chips and candy bars. There are now more and more choices to make healthy eating possible on the go. Next time opt for some fruit with nuts or string cheese or even microwavable soup. Check out Sarah's book for a ton of ideas and RD approved brands. The recipes in this book are super simple. Most of which you can pack on the go or make ahead of time. One of my faves is the Date Rolls with Coconut and Whole Almonds. I definitely have a sweet tooth and this is a sure way to satisfy it while still filling me up (it has protein!) till my next meal. Check it below. An energy booster with natural sweetness. Slice the dates open and stuff each date with shredded coconut and 1 almond each. Ok, now time for the GIVEAWAY! be sure to check out Sarah's book on Amazon too! 1. Please follow Sarah on either Instagram or Facebook. Thanks for signing up! The winner for the giveaway will be announced on Monday, February 6th! The more you follow/sign up for the more entries you'll get. Winner will be announced on Monday, February 6th.